Just a little tip for you. Let’s say you want to include the “degrees” symbol or “plusminus” symbol in your Revit text. The Revit text editor doesn’t directly give you this capability…but it is possible. Here are the steps. 1) Start the Microsoft Windows Character Map tool. It’s found All Programs -> Accessories -> System Tools. 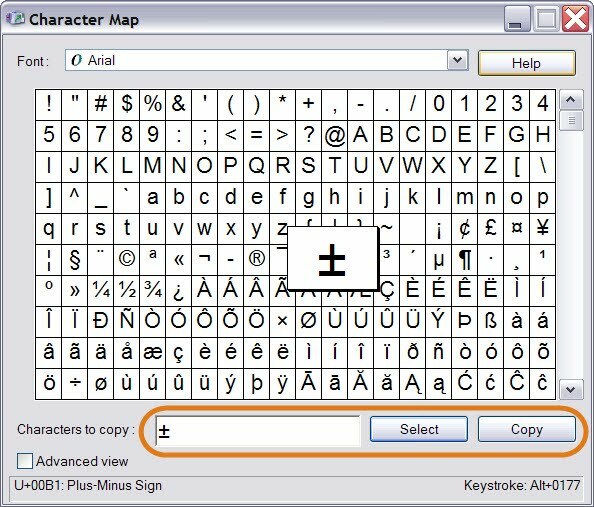 2) Find the symbol and Click the “Select” button followed by the “Copy” button which copys the symbol to the windows clipboard. 3) In Revit start editing your text and simply Paste the symbol.